Almost every website contains some type of copyright notice typically found in the footer. While the copyright notice is not required, it is highly recommended in order to deter potential plagiarists from staking claim to your content. The year should always remain current in order to best protect your content and the best way to achieve this would be by adding a dynamic copyright. 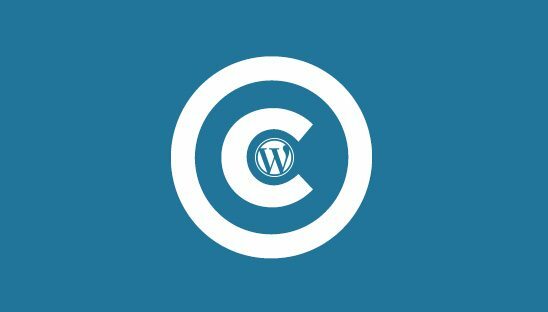 In this tutorial we will teach you how to add a dynamic copyright to your footer in WordPress. Open your footer.php page, then copy and paste the code below wherever you want your copyright notice to appear. date(‘Y’) will dynamically output the current year in WordPress. Bloginfo(‘name’) will dynamically output your website name (Site Title).